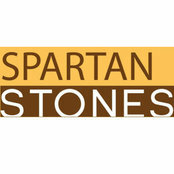 Spartan Stones is a premier retailer and fabricator of exotic stone and tile products. Our applications range from kitchen and bathroom projects to fireplace surrounds and outdoor spaces. We have one of the largest slab yards in North Alabama. Our customers tell us we have the lowest prices, quality workmanship and widest selections they have compared in our North Alabama and surrounding areas. How Our Process Works: STEP 1: CHOOSE YOUR STONE MATERIAL AND COLOR. 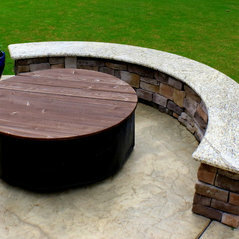 We provide a wide selection of granite, marble, quartz, limestone, soapstone, travertine, and onyx in our stone yard. Our friendly sales representatives are delighted to assist you in choosing your countertop material. STEP 2: CHOOSE YOUR COUNTERTOP EDGE STYLE STEP 3: CHOOSE YOUR SINK. We offer a variety of sink options for your kitchen, bath, laundry, or bar. STEP 4: SET UP IN-HOME ESTIMATE. Please speak with one of our sales representatives about setting up a time for your FREE in-home estimate. STEP 5: SCHEDULE TEMPLATE You will need to schedule a time and date to have a countertop template made for your new countertops. 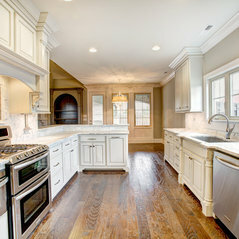 We can make this template with or without your existing countertops. However, your cabinetry or other application foundation must be set in place in order for an accurate template to be made. 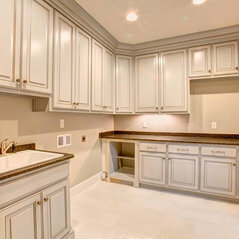 STEP 6: PREPARE YOUR SPACE FOR INSTALLATION Before our installers arrive to install your new countertops, we do ask that your sink and cooktop cabinet(s) be cleaned out. You will also need to clean off your existing countertops if we will be responsible for removing them. Any new under-counter appliances will also need to be installed prior to arrival. We also ask that the installers be given clear access to your installation space. STEP 7: INSTALLATION OF YOUR NEW COUNTERTOPS Please have your faucets, cooktop and any other necessary cutout accessories available at installation. Excellent! Highly recommend all involved in my remodel. All questions answered promptly. Joy to work with. Love my new kitchen. This is the second time I have used them and I am totally satisfied. The first time was my own personal home and the second was a home I am flipping. I will definitely use them again. Spartan Stones and Mandy was great to work with. They are friendly, very professional, and the work is high quality. I highly recommend them for their high quality work. Commented: What is the stone? In Huntsville, looking for a grey and white graniteHi Teri. 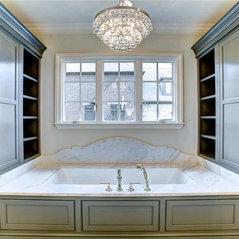 This is Carrara White Honed. It's a marble. We'd love to have you visit our showroom and slab yard. We're on Hughes Road in Madison! Commented: Is that a real wood backsplash or concrete? Or tile?What was used to seal the wood? Marine grade?